Members of the Boston Carmen’s Union attended a legislative hearing last year. The Massachusetts Bay Transportation Authority and its largest union — agreeing to give up a wage hike in order to help protect thousands of jobs from being privatized — on Monday won approval for a four-year, $1.5 billion contract. Under the agreement, which was approved unanimously by the MBTA’s oversight board and takes effect in January, the Boston Carmen’s Union Local 589 will forgo a previously bargained 2.5 percent raise this year, one of a number of concessions MBTA officials said would save the agency about $81 million over the next four years. The deal was struck after MBTA officials looked to privatize many jobs at the public transit agency, a threat union officials said they took seriously. The state’s transportation secretary, Stephanie Pollack, heralded the agreement as “game-changing and transformative” and said it would benefit both sides. The Legislature’s decision last year to allow the MBTA to contract out services paid off big time on Monday. 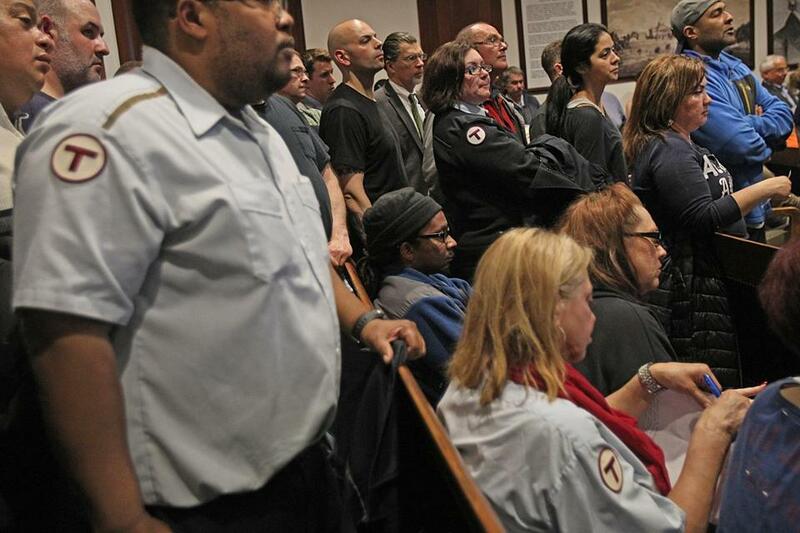 “This is a reset in labor-management relations for the MBTA,” she said. Over the past year, the union and the MBTA have been locked in a bitter battle over privatization. After Governor Charlie Baker’s administration pushed the state Legislature to suspend a law that created hurdles to outsourcing public sector jobs, the MBTA moved to privatize its cash-counting and warehouse operations, and threatened that driving and maintenance jobs could be next. Union members pushed back at every turn. In October, members of the union’s executive board were arrested for unlawful assembly after picketing outside the MBTA’s cash-counting operation . Pollack acknowledged that the threat of privatization was a major bargaining chip. “It is my personal, clear belief that without outsourcing on the table, we wouldn’t have reached this agreement,” she said. The union represents nearly 4,100 workers, and its contract often sets the tone for negotiations with other unions at the agency. The new contract protects the majority of union jobs, including bus and subway drivers and subway maintenance workers. (Bus maintenance workers are in a separate union.) The MBTA will also pay an additional $7.1 million over four years toward workers’ health insurance. 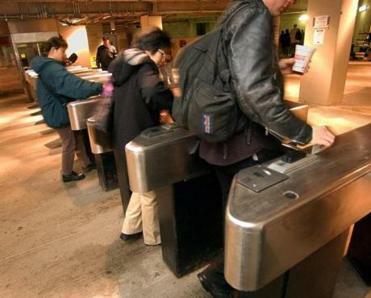 But the MBTA still plans to move forward with privatizing its cash-counting services and could still outsource areas such as warehouse stocking, customer service, and automated fare collection technicians. Under the deal, the MBTA can still contract with private parties for expanded service, such as late-night hours. If MBTA leaders violate the agreement and try to outsource protected jobs, the authority must pay workers the 2.5 percent deferred raise. The deal also mandates that workers only receive overtime once they have worked a 40-hour week. Management will use electronic software to update the union’s outmoded, paper-based system of assigning shifts. The union ratified the agreement on Sunday, the day after its annual holiday party. Under the agreement, workers will still receive raises, but at a slower rate. Workers will receive 1.5 percent raises in both 2018 and 2019, followed by a 2.5 percent raise in 2020. At the end of that year, they will receive another 1.5 percent increase. For new employees, four of five pay levels were cut. But most senior bus drivers will still make $35.86 an hour in 2017, one of the highest rates in the country. Paul Regan, executive director of the MBTA Advisory Board, which represents cities and towns that receive MBTA service, said he couldn’t believe that an agreement had been reached, a sharp departure from the typical acrimony over contracts. Rafael Mares, vice president of the Conservation Law Foundation, a Boston environmental advocacy group, said he hopes the savings will be reinvested in the system for the benefit of the riders. “The MBTA should reinvest the estimated [savings] . . . in better operations, state of good repair, and in a down payment on the building of the transit system we need,” he said.